A psychological suspense novel about three generations of women haunted by a little girl’s disappearance, and the porcelain doll that may hold the key to the truth. The story is set against the backdrop of Bonsecour—a fictitious stand-in for Beaufort, South Carolina. The antebellum architecture, live oaks, and dripping moss are as much characters in the book as the people that populate its pages; not only does this serve to create an atmosphere of charm and gentility but also one where suspicions often go unspoken and are routinely hidden under the guise of good manners. Beyond scenic flourishes, Ephron excels at depicting the dynamics between ordinary women thrust into extraordinary situations. While she’s often told tales of mothers and daughters, this is her first three-generation saga, and the result is a poignant portrayal of how tragedies often have a trickle-down effect, blighting everyone they touch despite the degrees of separation. You’ll Never Know, Dear is a worthy and irresistibly readable addition to the author’s impressive arsenal. 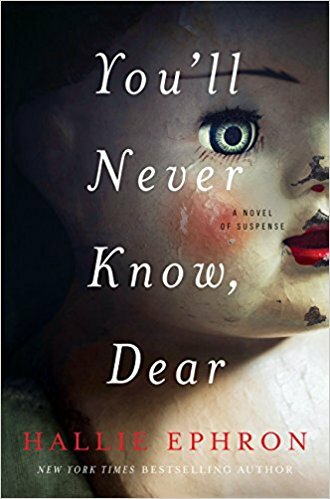 Set in the fictional port city of Bonsecours, S.C., You’ll Never Know, Dear is filled with rich detail of time and place. One can almost feel the soft heat of the Low Country, with its camellia bushes, periwinkle, and thick blanket of mosquitoes ... A third of the way through You’ll Never Know, Dear, Ephron has introduced us to all the major players, and rather quickly, the basic direction of the story line seems fairly transparent. Marked by a notable absence of violence and danger, it’s never really nail-biting suspense. Even so, it’s quite the page-turner in its quiet way. An accessible, easy read that deftly integrates the mystery genre with women’s fiction, it’s made compelling by the depth and resonance of the relationships. Ephron’s mystery is surprisingly gentle, considering the potentially disturbing subject matter at its core ... The setting promises some Southern gothic atmosphere — Ephron describes the odor along the Bonsecours River, 'thick with the pungent, slick, gooey pluff mud that was exposed by a receding tide' — but there’s little sense of menace or imminent danger. Fans of zingier thrillers might wish the big moments in this one popped with more drama ... Ephron aims for readers who favor milder entertainment, leaning toward novels in which the writing is straightforward and the plot spools out at measured pace. The appeal here lies in her portraits of the women, who rely on their doggedness and emotional bonds on a mission to restore the family peace. 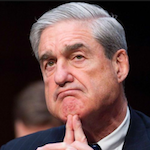 What did you think of You'll Never Know Dear?